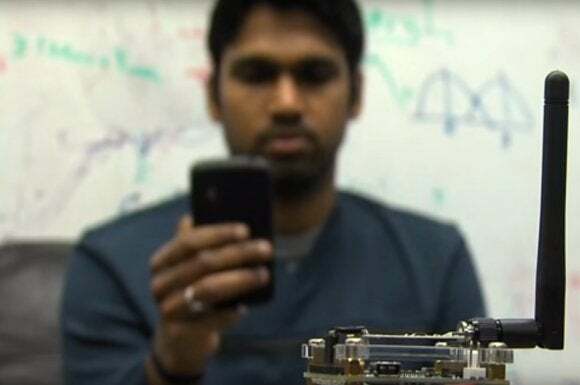 A startup, Jeeva Wireless, plans to commercialize the technology. By now, the power hogs on your smartphone and PC are well known: the display, the CPU, and the need to power up your Wi-Fi or 3G radio to send and receive data, all consume power and chip away at your battery life. But researchers have found a way to almost eliminate the power consumed by Wi-Fi, although you’ll need some new chips inside your router and your smartphone. What researchers at the University of Washington are calling “passive Wi-Fi” slashes the power used by 802.11b transmissions to just 59 microwatts, or about 10,000 times less than a conventional Wi-Fi chip would consume. A spinoff, called Jeeva Wireless, has been formed with the intention of commercializing the so-called backscatter technology, the university said. Here’s how it works: Imagine Wi-Fi as a flashlight of sorts, beaming data back and forth. Your router has a flashlight, pointed at your phone, and your phone has one as well. Passive Wi-Fi eliminates one of these flashlights and replaces it with a mirror. Your router still uses its existing Wi-Fi signal to send data to your mobile device; it’s just that the passive Wi-Fi technology simply reflects it back. The stream of reflected, backscattered “off” and “on” signals transmits the data at up to 802.11b speeds, or 11Mbps. Researchers say that they’ve been able to transmit this data between 30 and 100 feet, using both line-of-sight and through-wall scenarios. Why this matters: It’s possible that this could have a significant impact on how your phone sends and receives data. Unfortunately, it will probably require new hardware, both routers and mobile devices. But there’s another scenario: passive Wi-Fi could emerge as an ultra-low-power alternative to Bluetooth, whose Low Energy derivative consumes power in the hundredths of watts, rather than the millionths of watts that passive Wi-Fi requires. 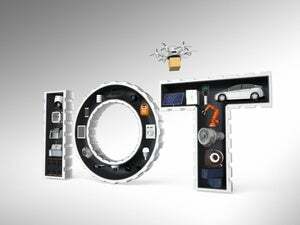 That could make it an ideal solution for the Internet of Things. 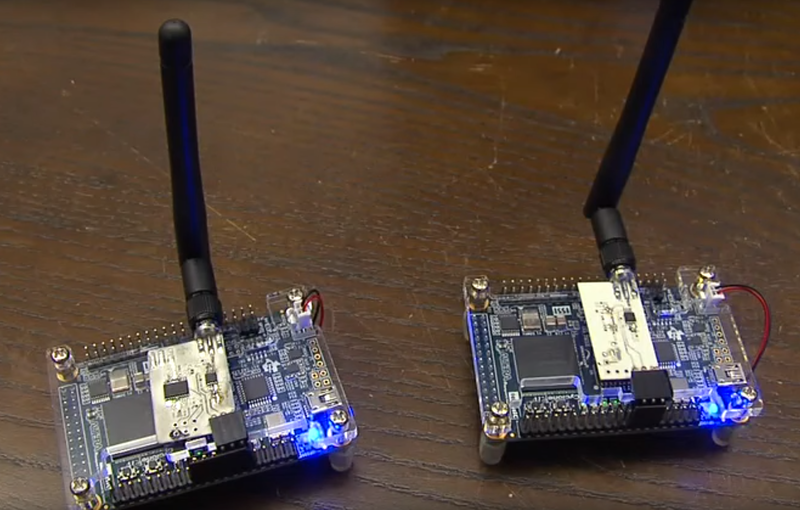 A closeup of the passive Wi-Fi prototypes. Passive Wi-Fi works on a few assumptions, one of the more important being that the analog and digital portions of the the wireless radio have become increasingly decoupled. Passively listening for a digital signal doesn’t take much power, relatively speaking; it’s the analog broadcasting of a response signal that consumes most of it. Simply reflecting the signal eliminates the vast majority of this power. But something has to generate the transmission power—and in this case, it’s a plugged-in device like a router. A router would require some form of a transceiver that could broadcast a wireless “tone” on a frequency that wouldn’t interfere with the existing Wi-Fi channel. The passive Wi-Fi chip could then “reflect” that tone back at the receiver. But the researchers also said that the technical process of backscattering that information at a given frequency would also bring that tone back into the frequency range used by the Wi-Fi channel—allowing the router or receiver to make sense of it all. The problem is that a passive Wi-Fi system also means that the passive sensor can’t call for attention, or signal the router that it’s ready to transmit data. Instead, routers will have to “order” the passive Wi-Fi device to send data at a given time. That’s not a big deal, although the latency might be a bit higher than normal. In any event, the promise of passive Wi-Fi is still a couple of years off. But it’s a possible future that looks more and more intriguing as we use our mobile devices ever more frequently.